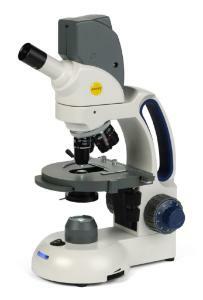 The M3700 WiFi Series is the industry's first WiFi microscope series! LED light rated up to 50,000 hours of life, illumination equal to a 20 watt tungsten bulb. A built-in high resolution streaming WiFi camera sets this microscope apart from the rest. By creating its own wireless network, simply log on with your Android or iOS device and view, capture and edit live images from your microscope with the free MotiConnect app. If your school doesn't allow the download of apps or you're in a hurry, no problem. The M3700 WiFi Series is equipped with its own on-board software that can be controlled with a web browser that allows you to capture as well as measure. The M3700 WiFi Series also works with a WiFi enabled laptop running Windows 7 or higher, whereby the microscope can be used with standard Motic Images Plus software; enabling you to use this device with your classroom's interactive white board.